Environmental sensitivity — Readily biodegradable formulation supports use in environmentally sensitive applications. Reduced maintenance — Ashless antiwear additive provides excellent protection against wear of hydraulic pumps, while all system components are protected by effective rust and corrosion inhibitors. 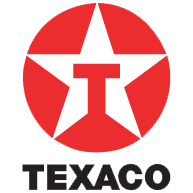 Texaco Biostar Hydraulic oils are environmentally friendly antiwear hydraulic oils, specifically designed for use in high performance mobile and stationary equipment where there is a possibility of soil/water contamination or environmental hazard due to fluid spill or leakage. Formulated from natural rapeseed oil and a nonmetallic multifunctional additive package, it exhibits a high degree of biodegradability, as described in CEC-L-33-A94. keep moisture contamination and condensation levels to a minimum. use reservoir heaters to prevent the oil from solidifying if the hydraulic system becomes idle at or below -15°C (5°F).